Business owners, managers, and supervisors that do not comply with Immigration and Customs Enforcement (ICE) regulations, can be susceptible to getting sued or placed under arrest for employing illegal workers. In recent years ICE has increased its surveillance and auditing frequency and has strongly enforced employment eligibility laws. Last year, over 2,200 employers were audited and $50,000,000 in fines were collected as a result of these audits. That means many of the 2,200 employers were caught off guard. Some may have been intentionally hiring illegal workers, but others may have just failed to take precautions to verify employment status before hiring an employee. Expert auditors look closely at I-9 verifications to ensure that your company follows I-9 compliance. Your employee must fill out and sign Form I-9 to attest their employment authorization. Then, they must provide you with documents that serve as evidence of their identity and employment authorization. One of the most important (and required) processes as a hiring manager is to show that you have made a “good faith effort” to comply with legal requirements. The best way to show that is to demonstrate you have performed an I-9 verification and an additional e-verify check for all employees regardless of citizenship. 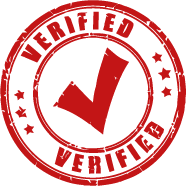 An e-verify check is an optional online tool that confirms a person’s eligibility to work in the United States. Although it is voluntary, it shows that your company is serious about taking steps to remain compliant. A Good Employee works with you and your applicant to fill out an e-verify form and ensure that the process is legally compliant. This will give you peace of mind knowing that a professional employment screening company is handling your I-9 verifications in case your company gets selected for an audit.